Academia once was walled off from commercial enterprise. Ken Swartzel spent 40 years building bridges, and he isn’t done yet. In the community of aseptic food technologists, Ken Swartzel is the lion in winter. In lieu of riches, academic researchers usually have to settle for accolades, and the food engineer from North Carolina State University has received quite a few, including by his own count four industrial achievement awards from the Institute of Food Technologists. The recognition that flatters him most came this year, when Swartzel was named a fellow of the National Academy of Engineering, a group that counts Albert Einstein among previous honorees. In August, Swartzel returned as science adviser to Aseptia Inc., the Raleigh, N.C., firm he cofounded to license technology for continuous flow microwave processing of pumpable food, both homogenous and with particulate. It’s one of several ventures spun out of his lab to advance processes that improve the quality of shelf-stable food—not quality in the manufacturing sense but in the layperson’s understanding of superiority in taste, texture, nutritional value and other dimensions when compared to retorted products. His academic mentors set Swartzel on the continuous flow thermal-transfer path as an undergrad at NC State, where he received his B.S. in food science with a concentration in mechanical and aerospace engineering in 1970 before spending two years as a project engineer at Tri-Clover, the Kenosha, Wis., manufacturer of hygienic valves. Swartzel returned to Raleigh as a research assistant while completing M.S. and PhD work, eventually being named director of the Center for Aseptic Processing and Packaging Studies (CAPPS). Founded in 1987, CAPPS helped coordinate university research with the needs of industry and the military, which funneled tens of millions of dollars through the program. Improving the taste and nutritional value of sterile, shelf-stable field rations was the military’s objective, and that required an alternative to retort and steam-injection aseptic, both of which impart detrimental effects. Aseptia installed production lines using its microwave process at Wright Foods in 2012 and recently sold the plant to Ameriqual, one of the three major suppliers of shelf-stable military meals. Swartzel was particularly gratified by the first industrial application of aseptic microwave technology in his home state. North Carolina is America’s sweet potato capital, and about 30 percent of each year’s crop is cosmetically flawed and left to rot. To demonstrate the technology, he and his colleagues pureed sweet potatoes, processed and pouched them, then waited six months to show the results to local farmers. The biggest challenge tackled by CAPPS was identifying the cold spot in particles moving through a continuous flow system and validating that the fastest moving particle achieved sterility. The work continued for years, with one CAPPS research center after another dropping out. “We stubbornly kept going,” remembers Swartzel. A thermal memory cell developed in NC State’s labs solved the challenge, “but it was too blasted complicated,” he recalls. “We solved the problem, but we didn’t solve it in the way industry wanted.” It laid the groundwork for the “flipping magnets” approach that grew out of the doctoral work of Josep Simunovic, his former student and Aseptia cofounder. The key insight was the impact of particle density on flow. That influenced the materials used for the magnets, which are used to track the position and temperature of the particle surrogates as they circulate through the aseptic system. The process energy source is irrelevant; the statistical validation works as well with ohmic, ultrasound and steam injection as it does with microwave. 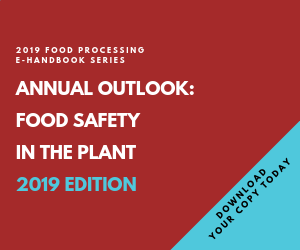 Swartzel predicts it will become standard equipment in U.S. production facilities as well as overseas, where continuous flow systems usually produce foods that are “over-processed and only marginally better than retort. Companies that are using it can now see what they’re doing and they can back off” on their thermal inputs. Inventors of breakthrough food products and processes seldom realize the fortunes they imagine. Swartzel didn’t begin his work with expectations of riches, and in that respect he wasn’t disappointed. He surrendered his financial stake in Aseptia when pressure from investors sapped the enjoyment of development work. Returning as science advisor, the fun is back. “I feel like a young whippersnapper,” he laughs, focusing on technical advances that solve problems, will be commercially viable and improve the human condition.